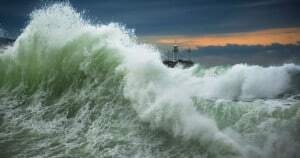 Sleep Disturbances in Veterans: the Hurricane Threatening the Veterans’ Community. This story was told told to me by a post 9/11 SF operator. It is a pattern that I have heard echoed in many, many Veterans – from Korea to the present date. It is a pattern that we cannot ignore. In the world of chronic disabilities that plague the Veteran community, the VA is often very slow to recognize patterns. Yes, VA doctors conducted the first successful liver transplants. Yes, they “developed” the implantable cardiac pacemaker. And who knows, the VA probably invented the band-aid. But the VA also took 35+ years to see the havoc that Agent Orange wreaked on our community. They are characteristically numb to the possibility that excessively dangerous amounts of benzene and TCE in the drinking water supply at Camp Lejuene and Ft. McClellan could have lasting consequences. And don’t even get me started on their failure to acknowledge what scientists, lawyers, soldiers and local residents have known for years: leaking underground storage tanks introduce JP4 into the water supply at nearly every Air Force base in the nation. The story I just shared with you about the SF operator (I wish I could tell you which units he served with…the few stories he tells me are fascinating) suggests to me that there is a big nightmare for Veterans lurking just under the surface. That nightmare is this: modern military life, and modern warfare, has a disruptive impact on the neurological functioning of the body’s sleeping mechanisms. Sleep Disturbances in Veterans: Symptoms that Serve as a Warning. Given that sleep is how our body repairs and rebuilds itself, it necessarily follows that unless the VA gets off its bureaucratic arse and at least acknowledges the possibility of a problem, 2 or 3 generations of Veterans will be utterly unable to reintegrate into civilian life – because they cannot, for a variety of reasons, sleep. And in 5, 10, or 20 years, we will see a spate of deaths or chronic long-term disabilities in Veterans that could have been prevented. Future leaders at the VA will – as they are today – be scratching their heads wondering how we got there. The Veterans Law Blog is about YOU – the Veteran – not the VA.
Let me tell you some of the ways that I am seeing chronic sleep issues surface in Veterans that I work with. Be mindful, though, that these problems do not seem limited to any particular era, although the frequency is increasingly common in Veterans in the post-9/11 era. A. Sleep Apnea and Sleep Disturbances in Veterans. I’ve spent several years studying VA Sleep Apnea claims. * Sleeping and breathing are 2 major functions that the body cannot live without. * The body is a machine – you can’t take one part out of the machine without making the rest start to fail. * The Body’s Sleep Breathing mechanisms are extremely complex and we are just now learning some of how this mechanism works. * 3 out of every 4 Veterans who file a claim for Sleep Apnea are denied by the VA Regional Office or the Board of Veterans Appeals. * The VA, Veterans, and the general public, are largely misinformed about VA Disability Ratings for Sleep Apnea what sleep apnea is, and how dangerous it is. Doctors – and now a growing number of Veterans advocates – see that there are at least 3 dozen medical conditions that cause, aggravate, or are caused by, Sleep Apnea. 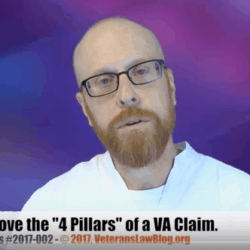 This is important for Veterans to know not only in trying to prove service connection for their sleep apnea claim, but also in terms of getting medical care for the myriad of conditions that result from, or are worsened by, one of the 3 forms of Sleep Apnea. B. The Under-reported Sleep Disturbances in Veterans: REM Sleep Behavior Disorders. These types of conditions scares the crap out of me. Not because of it’s symptoms, but because this condition seems to be the meteorological equivalent of the Hurricane Warning Flag in Veterans health. What is a REM Sleep Behavior Disorder? In characteristic “Veterans Law Blog” style, I’m going to give you the laymen’s understanding. My apologies to doctors and medical professionals for over-simplifying what is a very dangerous condition. In a nutshell, this condition is a disruption of the body’s deep-sleep function. For reasons that seem predominantly neurological, there is an overlap of the sleep-dream phase and the body’s awake phase. It may be that the body is confused as to whether it is asleep or awake. This results in violent or fitful sleep (acting out dreams, sleep walking, violent thrashing while seemingly asleep), sleep paralysis (that horrid crippling sensation of being both awake and paralyzed at the same time), and occasional apnea events. Case studies about the growing prevalence of REM Sleep Behavior Disorder in the military and veteran communities were recently published in the Journal of Clinical Sleep Medicine, the official publication of the American Academy of Sleep Medicine. This is a scary condition, for 2 reasons. C. Parkinson’s Disease, TBI and REM Sleep Behavior Disorder. REM Sleep Behavior Disorder is a hallmark symptom of Parkinson’s Disease. Though my firm has seen this symptom appearing very predominantly in cases of Early Onset Parkinson’s disease, medical studies have concluded that it more characteristically appears in traditional onset Parkinson’s Disease. Read about the general differences between Early Onset and Traditional Parkinson’s Disease here. This connection to Parkinson’s disease is particularly concerning, as Veterans that have experienced a TBI are more likely to be diagnosed with Parkinson’s disease – its one of the reasons that the VA has recently added a rule providing for presumptive service connection of Parkinson’s disease in certain cases where there is evidence of an in-service Traumatic Brain Injury (TBI). Studies have shown that there is a high c0-incidence of RBD and PTSD. Medical professionals have speculated that it is because the PTSD condition does affect the body’s neurological functioning. This is not surprising – remember that the human body is a machine, that requires all parts to work together. Think of it like your car. If you brake too heavily, you can actually cause your brake rotors to warp. Warped brake rotors can impact the functioning of the wheels and wheel axles, which can ultimately put strain on your car’s transmission – and – eventually can cause engine failures. I know this because I am a “heavy braker” and my mechanics are always encouraging me to change this habit, before I put my car in an early graveyard. The human body is no different. Put an extreme strain on one major body function, and you are going to CAUSE the conditions for failure of the other body functions. Sleep Disturbances in Veterans are a MAJOR Warning Sign to Family and Friends. Those of you who regularly read the Veterans Law Blog know that my writing is typically driven to a particular point – the goal of this post is to get you thinking about your sleep symptomatology. It may be that these symptoms are the warning for a big hurricane heading your way – if your doctor’s “stop drinking coffee before bed” advice (or, “give it time, your sleep rhythm is off”) doesn’t seem to ring true, ask for a referral to a sleep specialist. 1) Be alert and vigilant for any sleep related symptoms in your life. Seek treatment immediately for sleep-related symptomatology that does not go away on its own or that is getting worse. It could be an earlier indicator of a much bigger problem in your body. Sleep is to the body what the transmission is to a car: by the time your transmission goes, you have much bigger problems that you probably could have fixed earlier. 2) Document any sleep related symptomatology in ALL of your service-connection claims. If there is a problem in your body, those symptoms may first appear in the body’s sleep mechanism. When proving continuity of symptomatology in a Direct Service Connection claim – or Secondary Service Connection or Aggravation claim – the evidence of the earliest symptoms of a condition are almost always controlling. In other words – documenting sleep related symptoms in your VA Claim can help you win your claim down the road. I have written the only eBook for Veterans battling the VA for service connection of their sleep apnea. In that eBook, I teach Veterans several tactics and strategies for finding out – and proving – that that their Sleep Apnea is service connected. Learn more about that eBook by clicking here. I can’t get to sleep even on the meds they give me. I’m always up till 3 or 4 in the morning and am up at 6 or 7. This has occurred after Gulf War One. I have had major sleep problems since I got out of the Army in 1979. A artillary simulator went off about 10 feet from the left side of my head causing a permanent air leaking noise in my left ear that is there 24/7.The VA gave me 10% for tinnitues,0% for hearing loss, but gave me hearing aids. The VA gave me 70% for mood disorder secondary to tinnutes an along with the 70% the VA also gave me a truck load of meds, which still don’t help with my sleep problems.This is where the VA health care system has left me.